This high energy class will leave you feeling accomplished in every part of your body! Inspired by ballet, this 60-minute full body workout is designed to help you strengthen, lengthen and tone up! Barre starts with a warm-up then fuses in planks, core work, arms, legs and sometimes even cardio to the mix. The movements (done at a ballet barre) range from multi-joint to isometric (targeting a specific set of muscles) with a small range of motion and high repetition format. 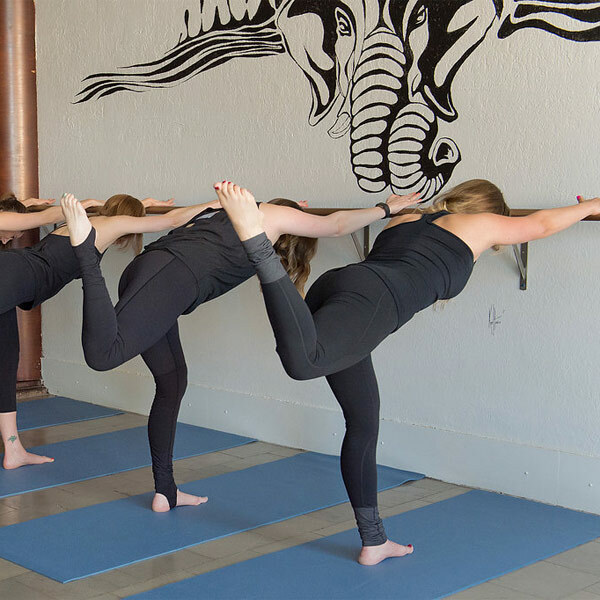 Barre is known for “the shake” because there is a huge concentration on the legs and your muscles start shaking during some of the exercises. 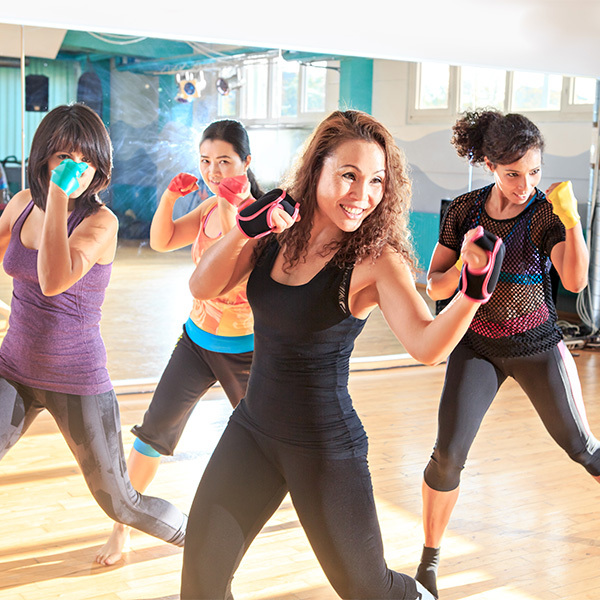 Classes are challenging, but fun, with great music and motivating instructors! Each instructor is a little different in their approach, but the end goal is the same: to look and feel your best. With a commitment to coming, you will see the transformation occur in your body! We help explain/adjust form so that everyone in the room feels successful and safe! Class capacity is limited 20 people for quality instruction. Please reserve your space in advance, as classes do fill up. *Please bring a yoga mat + towel + water. Come prepared to move and sweat! 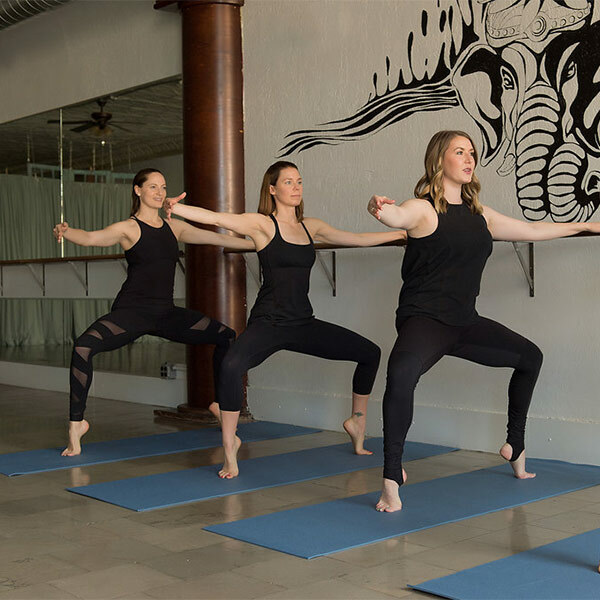 This fusion class is the perfect blend of barre + Yoga! We begin with the barre portion - a challenging fitness based class, inspired by ballet movements. We are not dancing, so no experience is needed. The first half of class gets the blood pumping with a warm-up and shorter version of our barre class (regularly 60 minutes.) In this 30 minutes the major concentration is on the legs and glutes, but depending on the class, can incorporate a mix of cardio, arm work, and abs while flowing to upbeat music. We then move to the ground to do some plank work and sit-ups to strengthen the arms and core. The last half of class transitions into a Vinyasa-style yoga. The class vibe starts to mellow and we begin to slow down the flow with some longer holds to really open up the body, and a final relaxation at the end! There is a focus on breath, connection, and body alignment to allow you to feel present, calm and strong in your body. You will finish feeling relaxed, yet invigorated! This class is a fan favorite! Expect some challenges, but it is definitely suitable for all levels! Class capacity is limited to 20 people for quality instruction. Please reserve your space in advance, as classes do fill up. *Please bring a yoga mat + towel + water. 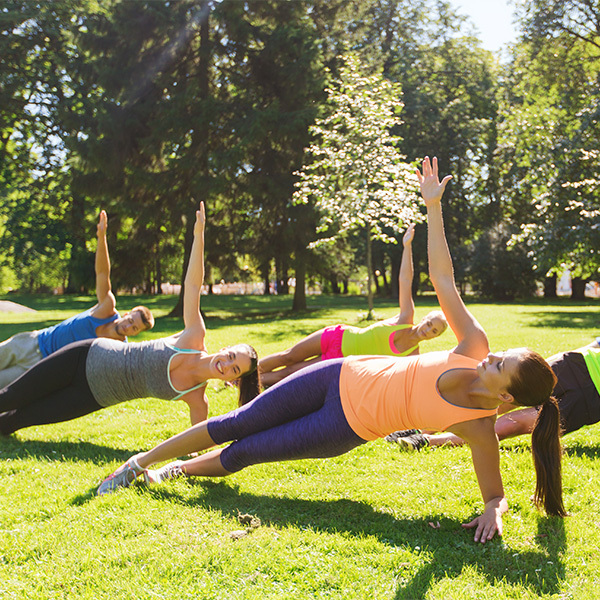 Body Weight Bootcamp is a higher intensity class that is geared towards those who want to maintain/build strength and endurance while burning body fat using their own body weight. No bulky equipment or heavy weights necessary. Each instructor will bring a different flavor combining various things such as HIIT (high-intensity interval training), AMRAP (As many reps as possible), plyometrics, running (sometimes), and core work. The class is 45 minutes in length. This dynamic program moves through heart-pumping, powerful boxing combinations into sculpting and lengthening Pilates-influenced movements. In between segments, enjoy some fun dance moves to bumping music that keeps the class moving straight through. Class length is 45 minutes, with no structured breaks (you'll take as you need). *Please wear athletic attire and clean sneakers. Bring a water and sweat towel.